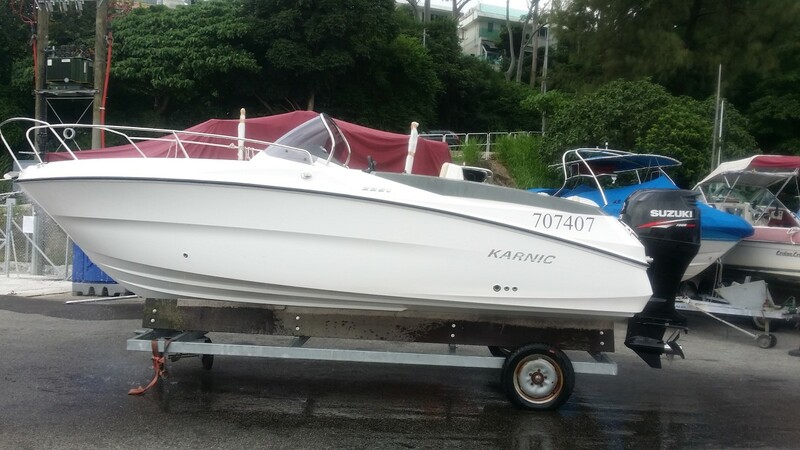 Another Karnic 2251 has arrived in Hong Kong this September (2015). 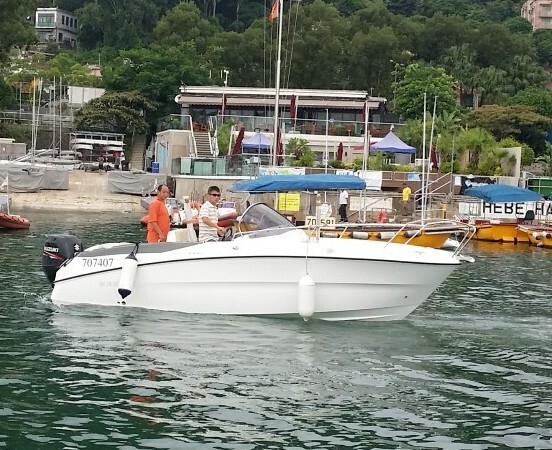 Unlike our previous Karnic speed boats, this one is installed with Suzuki 175hp, 4 stroke engines. Karnic 2251 with its beautiful smart outlook cruised beautifully when tested. The boat comes with a bimini cover, a full boat cover, even has a small resting cabin with cushions inside. The cabin is often used for storage by owners, but it is rather spacious and can accommodate at least one person. The 2251 karnic is a spacious boat with 7 person’s capacity. 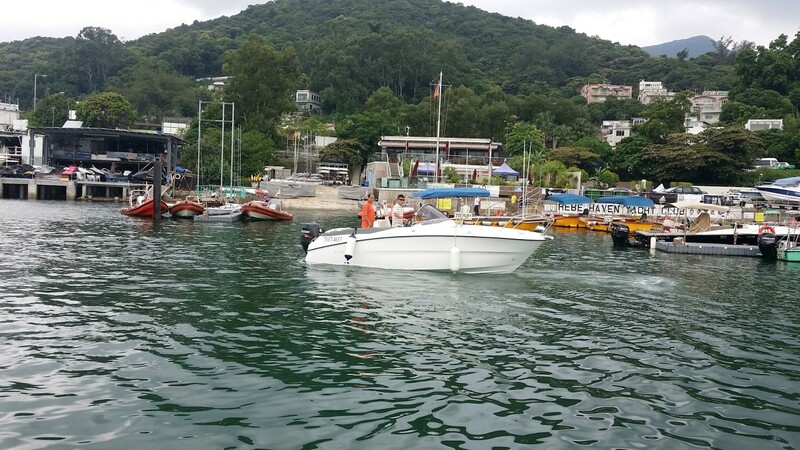 The total cost of this karnic with a special offer was HKD 340,000/- including engines, delivery + options. Delivery of Karnic normally takes 2 months upon order.